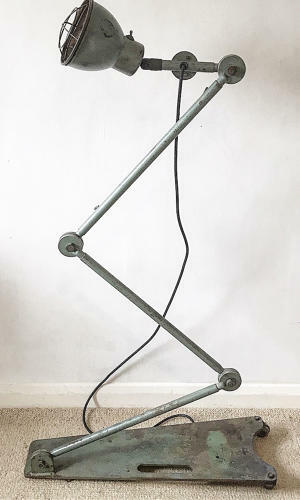 A rare industrial 4 arm floor lamp by Desvil. This is a very hard to find lamp in original condition. Original paint and in working condition. Recently rewired. Ideal position is 170cm but can extend to around 200cm.